Boys & girls love a Rainbow Chinese Jump Rope. 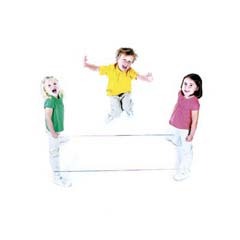 Great physical toy & activity for kids of all ages. Great for birthday party favors or a stocking stuffer. Made of nylon. 30".